Are you willing to pay for illustrations? So yesterday Danielle posted a giveaway for a non-illustrated version of A Monster Calls by Patrick Ness. I have to admit I was surprised...the idea that they would produce an edition like this just never occurred to me! Danielle defends it by saying it allows you to imagine the story yourself, but I never felt like the existing illustrations detracted from my ability to do that. In any case, though, it is interesting because there IS something different about reading illustrated vs. non-illustrated books. One of the things that makes them very different from each other is cost. 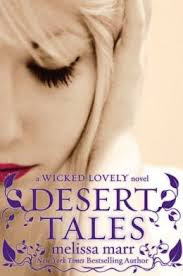 Amazon reminded me that Melissa Marr's Desert Tales is coming out next month, which made me excited. I actually started reading this in its original manga form but stopped because it was cost-prohibitive for me. I was getting a relatively short story for a sort of pricey sum. The idea of the entire story being collected in one place for one low price (Marr insisted it be published in paperback) is very appealing to me. Also, yay more Wicked Lovely! I liked the drawings, but they weren't...essential to me? And I think this is a big reason I have yet to really embrace any series of comics. They are expensive. The stories are short and then you have to wait. And even if you wait to buy in trade paperback, it still feels pricey? It's not that I like this about myself. I wish the art and drawings were more important to me and worth the money, but I generally fall on the side of thinking of things in terms of how much I'm getting timewise. And you know I sort of have mixed feelings on both of these stories coming out without the illustrations. 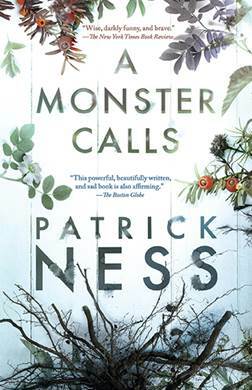 There's a part of me that thinks A Monster Calls deserves the widest of all possible audiences and that there are people who would be actively put off by it being illustrated/thinking it's a children's book that might read it? Including older kids, too, I guess! Anyway, would love to hear your thoughts! Feel free to scold me for not getting comics yet, still, so many years later.